Why is it every time I got to the beach this is the type of guy I see!!!! 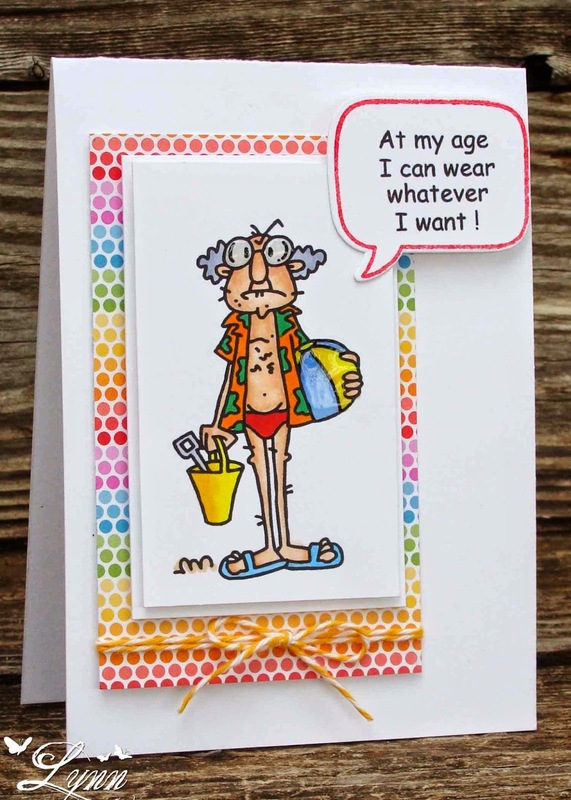 I never get to see all the hunks like you see in the movies, but the beach is always loaded with "oldies but goodies". Surely I couldn't be attracting them! 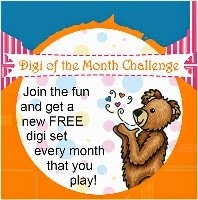 We have another challenge beginning at Digi Haven today and would love for you to play along with us. The theme for this challenge is Life's A Beach! 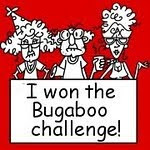 Our sponsor is Bugaboo who has a wonderful prize package just waiting for the winner too - so come on over and join the fun of our challenge! 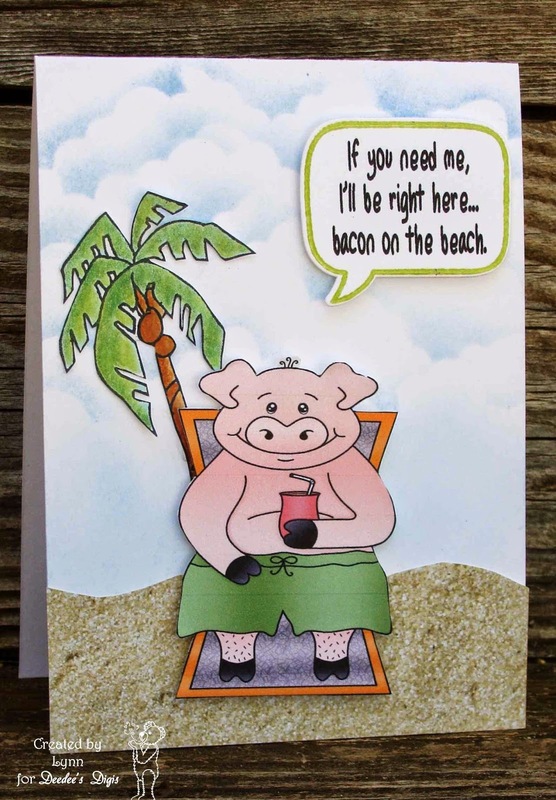 I believe this is Gus and he's pretty dapper looking and ready to ride the waves or maybe just dig in the sand! I colored him with Copics and used Glossy Accents on the beach ball (which is why it looks a little weird! Reflection!). He's mounted on some Doodlebug paper. 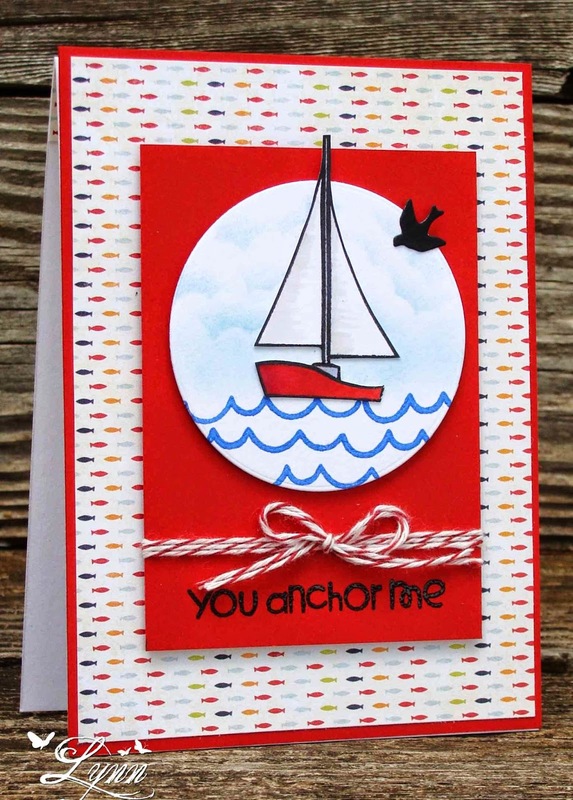 I'll enter this in the challenges at Creative Knockouts (make it masculine), Sweet Stamps (summer), and over at 2 Cute Ink ( beach). 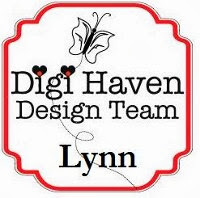 Thanks for stopping by.......and be sure and check out our challenge at Digi Haven. We're starting with another challenge over at Tuesday Throwdown and the theme with time in DINO-MITE! Fun, right! 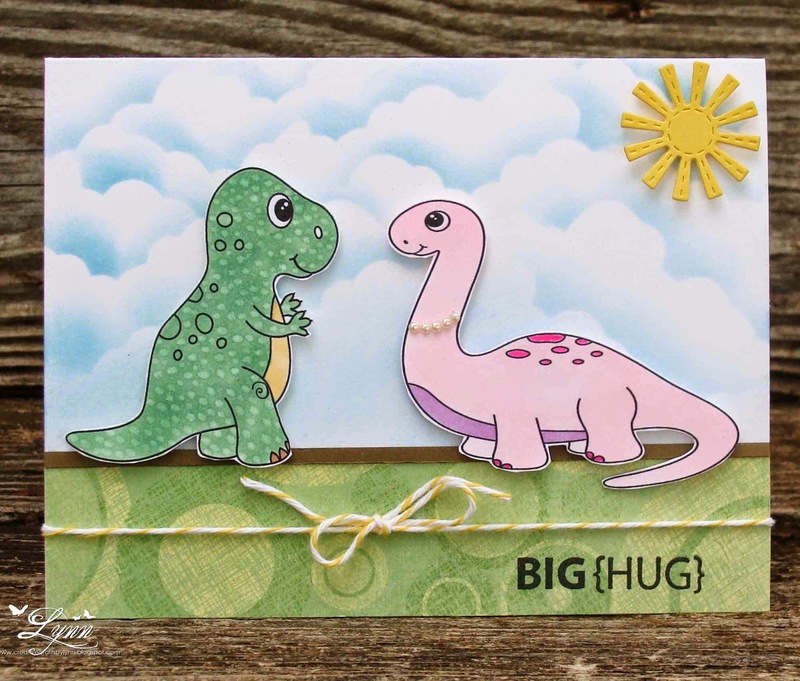 So, in honor of the challenge I'm giving you Mr. and Ms. Dino-Mite! Our sponsor this time is My Grafico who also provided images for the DT to use. 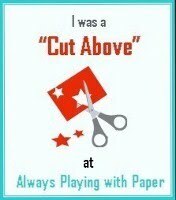 Come on over and play along for your chance to win a wonderful prize package from Mr Grafico. I used two of the My Grafico images, colored them, cut them out, and then they were popped up. 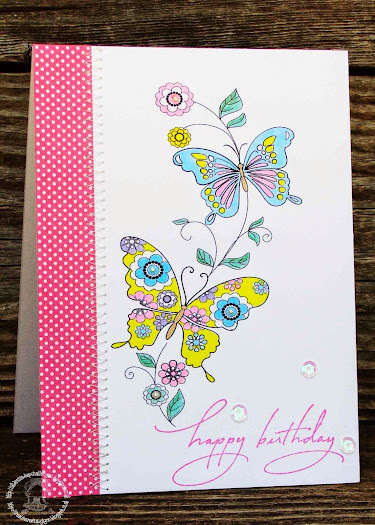 The green patterned paper is from my stash and then I added a very narrow brown strip of card stock. The clouds were sponged (actually done with a stipple brush) in the background and that Lil Inker sun die popped up. 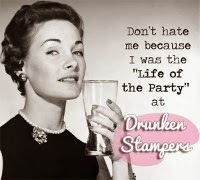 The sentiment is from SU. Ms. Dino-Mite would just not have been complete without her pearl necklace and red toe nails. Side Note! 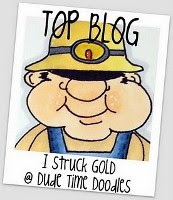 I seem to be having a bit of a problem with Blogger (actually I call it Bugger - among other things!) 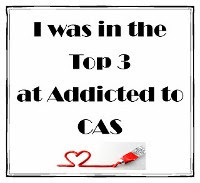 and can't seem to get my Reading List so don't know what blogs have posted for the day. SO, if I haven't stopped by your blog yet, please be patient until Blogger (Bugger) can figure out what's going on. It appears I'm not the only one - BY FAR - that this is happening to right now though - so I'll just keep plugging away at it all and hopefully Blogger will figure out what to do about the problem. 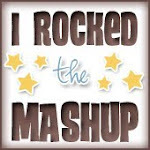 Thanks for stopping by........and be sure and check out the Tuesday Throwdown challenge! 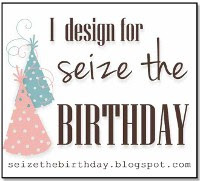 Even though I'm not on the All Dressed Up design team anymore I wanted to use this precious image from their shop since she reminds me so much of my little granddaughter. She appeared in her dance recital in a costume almost exactly like this one! She even has the blond hair I gave this image........yep, guess I need to send it to her now! This is Abi Ballerina and as I said can be found in the All Dressed Up shop. However, she is also offered as a FREE image over at the All Dressed Up Challenge blog. The sentiment is from a company called Printworks! 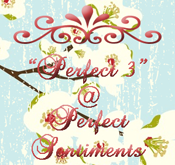 They have so many, many cute sentiments to choose from - and I think we can always use more sentiments. 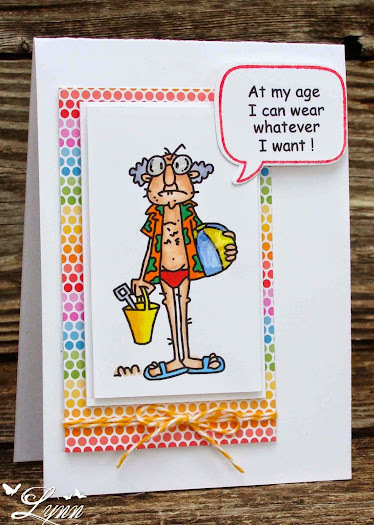 If you're like me you never seem to have just the right sentiment for your card. Printworks seems to have them all though! I colored her with Copics and then added some shine with the Wink of Stella pen. A few pearls were added to her dress and the sequins beside the sentiment. 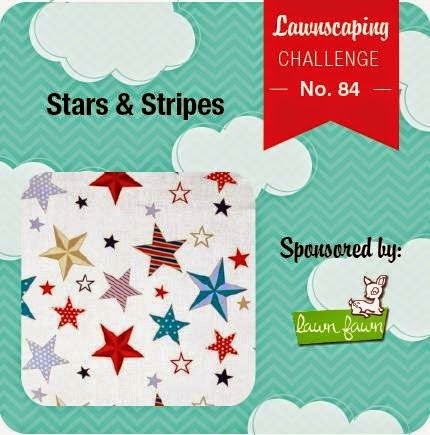 Since the Lawnscaping Challenge is to use stars and/or stripes I thought I'd include both of them on my card. A normal type person would have probably made the stripes yellow to represent the sun rays or something - however, since no one has probably considered me normal I thought I'd make them blue to represent the sky! You can still have the "shine" from the windows on the lighthouse! 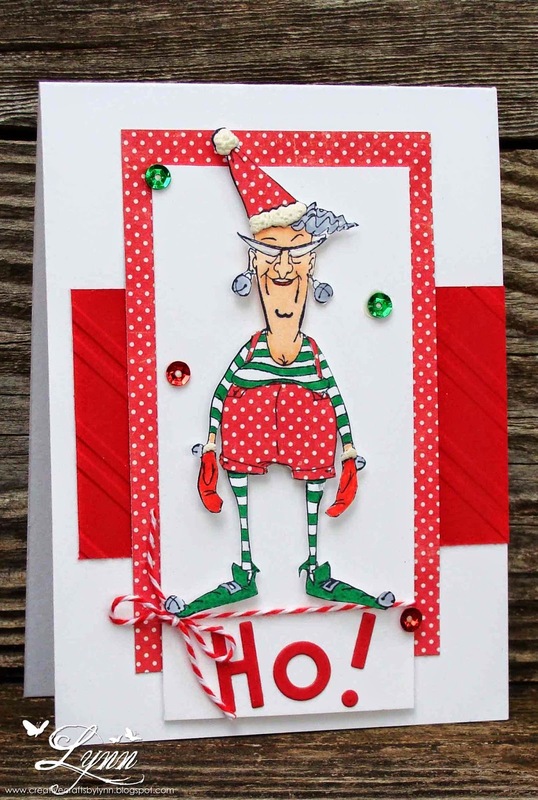 After all, it is my card so guess I can make the stripes any color I want! LOL! I used two Lawn Fawn sets on this card - Life is Good and Lucky Stars. Both are really nice sets and after stamping the lighthouse and coloring - and cutting it out - I realized I also had the dies to this set! Duh! When I added the birds I did remember to use the dies though!! 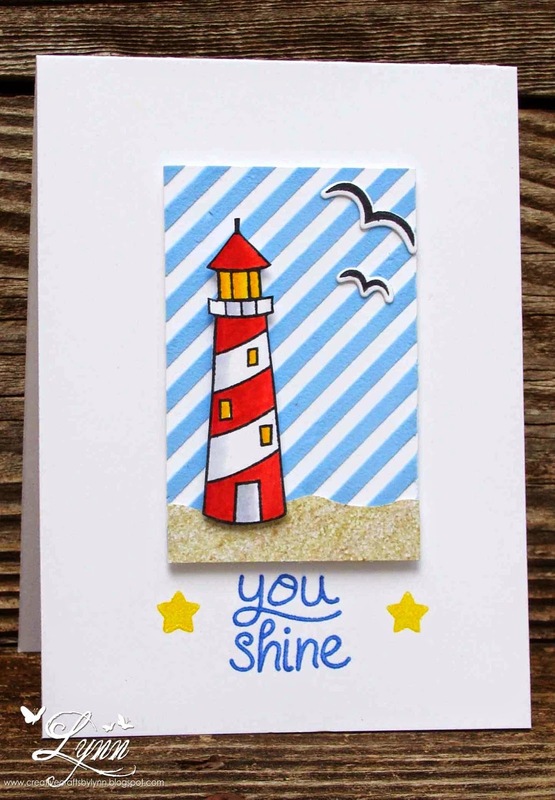 I used a stencil and smushed out some blue ink to color the embossing paste before spreading it down for the stripes. After that dried I added some of the "sand" looking patterned paper and then the birds. The two stars were stamped with Momento ink and heat embossed - as was the sentiment after stamping in blue. 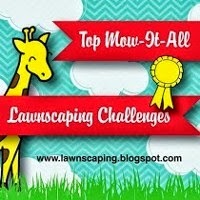 I'll enter this in the Lawnscaping Challenge - stars and/or stripes. I'll also throw in with the entries at Darnell's challenge - that never before used shtuff - With a focus on friendship. ALL my friends just "shine" so this will be going to one of them. This is the first time I've used the Life is Good set from Lawn Fawn. Got troubles? 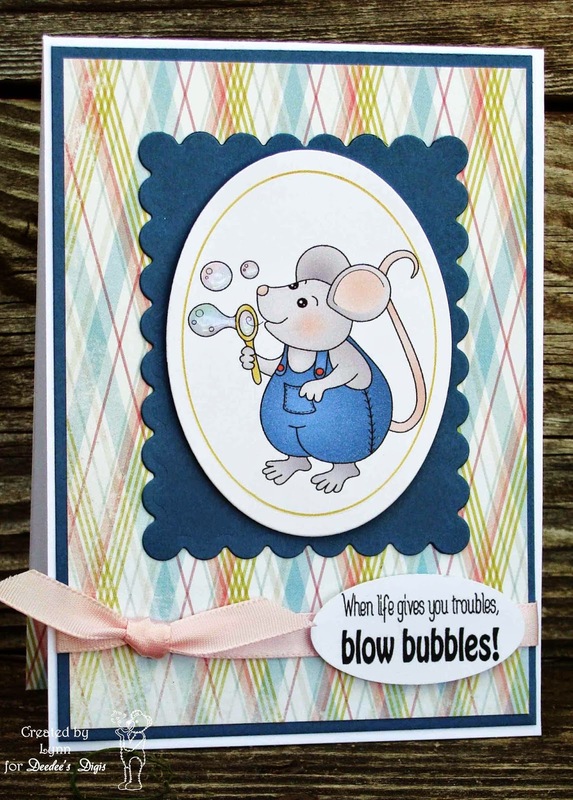 This little mouse is guaranteed to chase all of them away in a hurry! This is another cute digi from Deedee's Digis where you can find not only this Greatest Joy set but so many more cute images in her SHOP. 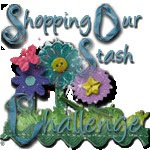 We have a progressive challenge going on right now that you're going to want to enter too so be sure and check out all the rules and submit your card or project. I used some different colors on this - looks a little manly but then added the pink ribbon. Guys can go for pink too so think it'll be good for whoever gets it. This is a pre-colored image but when you purchase this you also get the non colored image and several great sentiments. 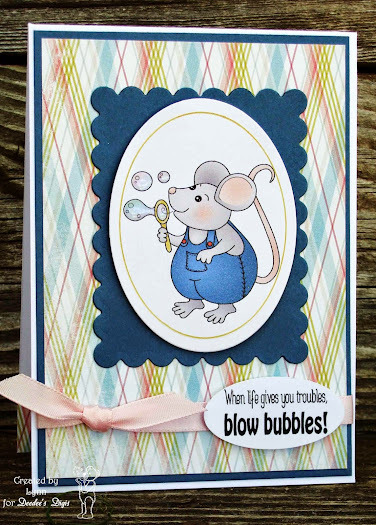 The only thing I did was to add some glossy accents to the bubbles and then used the Wink of Stella pen. Howdy - and happy Monday to everyone! What better way to start off the week than with a big smile! Isn't this little gal precious! LOL! Gotta love her all decked out in her finery for today. Oh, and before you even ask......no, I do not dress this way at all even though I do live in Texas. 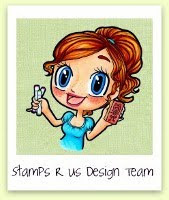 Anyway........The stamp I used is from Art Impressions and that sentiment - which I've never used before and can be considered NBUS (more on that in a sec) is from Riley and Company. The blue jean looking paper was from my stash and also the red and white polka dots. 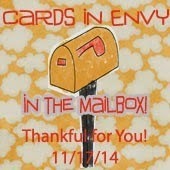 I kept this (as I do all my cards anyway) very simple and it's going to be an easy mailer! 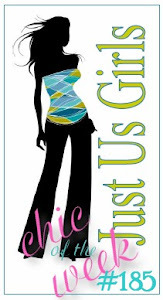 Back to the NBUS........Darnell is a very talented blogger and one sweet and funny lady. 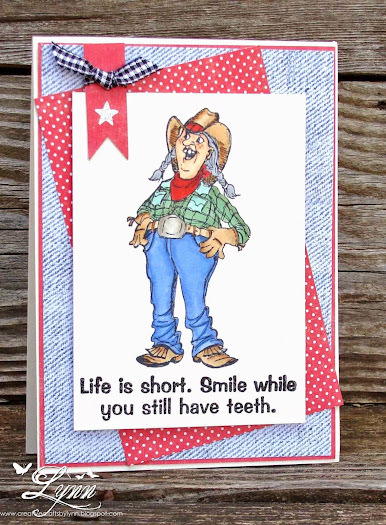 She will keep you smiling for sure....whether you have teeth or not! She recently reached 500 followers and decided to have a little challenge about NBUS (never-before-used-schtuff) and friendship. My card will go to a friend to let them know I'm thinking about them. The NBUS is my sentiment and that blue jean paper. Down this way we actually call watermelon Chunk! I know, kinda weird but that's really what we call it. No idea why we call it that but I DO love my Chunk! Even better is to get into a good seed spitting contest with someone while eating the tasty stuff - outside of course! LOL! Our theme for this challenge is "We're having a picnic". At this age, my idea of a picnic would probably be driving through "take out" somewhere, throwing it in a basket, and then of course grabbing a big juicy "Chunk" too! Isn't she a cutie! She's from My Grafico who is the sponsor of our brand new challenge starting today at Digi Haven. 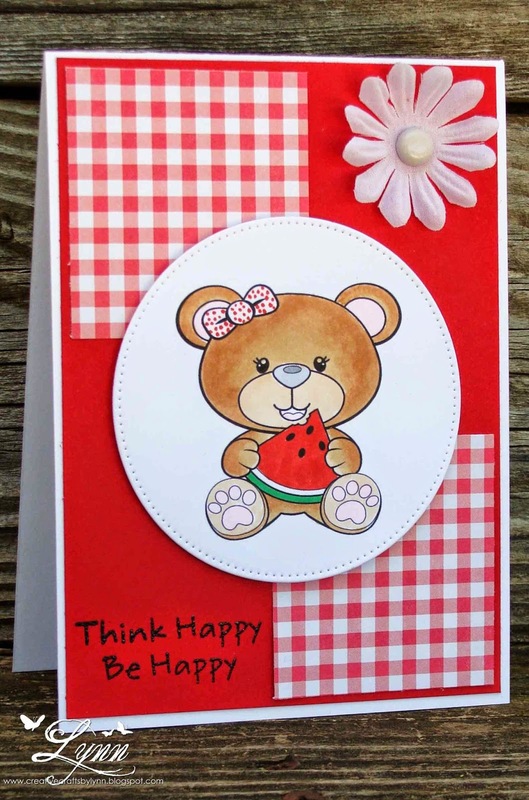 Summertime is here, the watermelon is abundant, and it's a good time to go on a picnic. 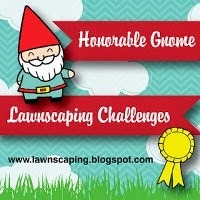 Come on over and join the challenge for your chance to win a great prize package from My Grafico! Also check out all the wonderful inspiration from the DT this time. Fantastic creations to say the least! 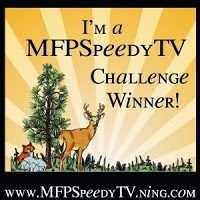 Thanks for stopping by........and be sure and check out the Digi Haven challenge! It appears this little chihuahua may be a bit confused with all the arrows going this way and that but all he really wants to do is say "thanks"! I love this little guy from The Alley Way Stamps and even wish I had one....however, Rambo would probably get a little jealous. Besides that, there's just no more room in the bed at night. As it is, he'd like the whole bed entirely to himself! Seems it's a fight to the finish every night! 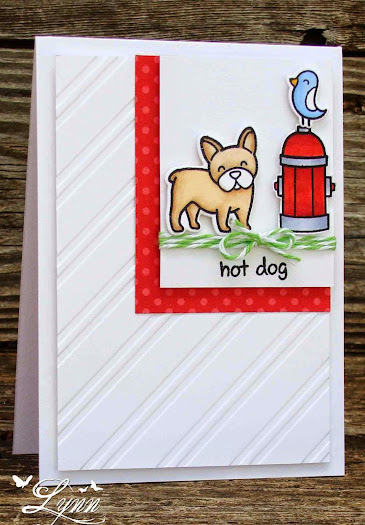 I used three sets of stamps to create this card - The Gang, Good Point, and Crazy Critters. I stamped the red and orange arrows going one way and the two middle ones in blue and green going the other way. Something a little different. 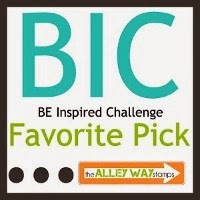 I'll enter this in the Be Inspired Challenge with their photo inspiration. 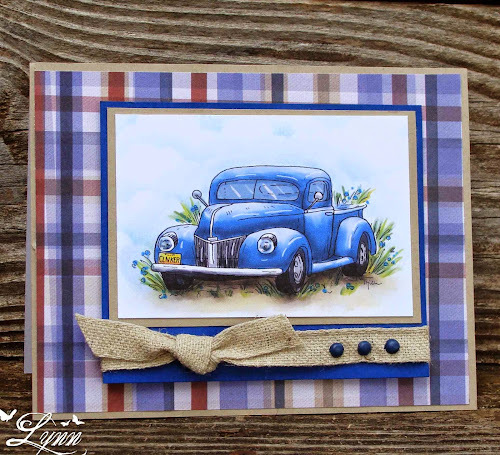 This is a tiny bit different than the card I did and you'll see on the Tuesday Throwdown challenge blog when you go check out the challenge, but after seeing the picture I decided it needed/had to have those three little brads! Yep, it's time again for another challenge at Tuesday Throwndown and our theme is For A Special Man. 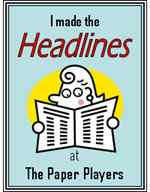 Our sponsor this time is Fred She Said who also provided all the images for the DT to use. 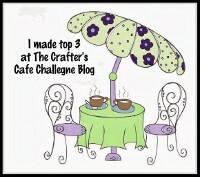 Be sure and head on over to the challenge blog to see all the wonderful inspiration by the DT and then enter our challenge for a chance to win a wonderful prize package from Fred She Said. 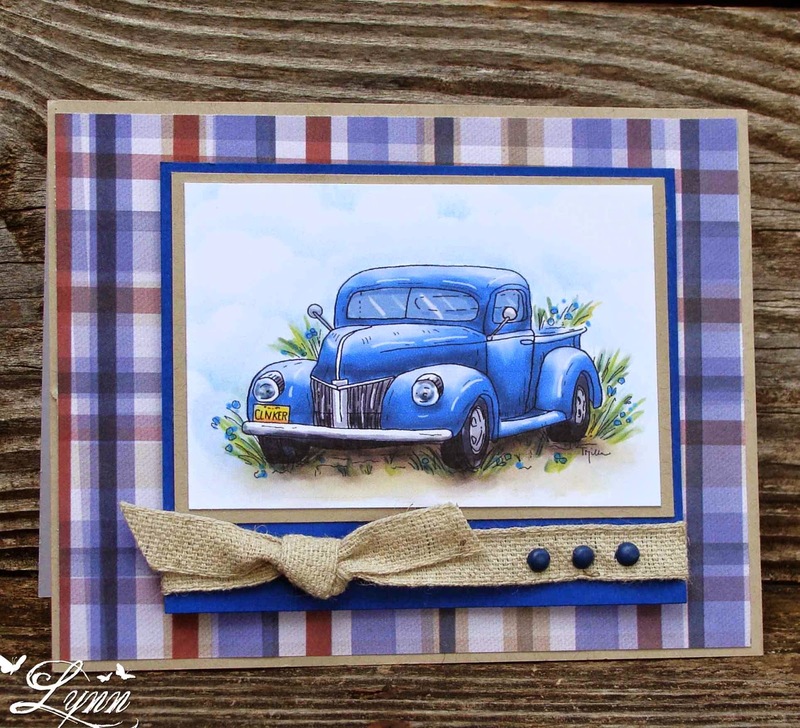 I used this pre-colored pick up truck and then sponged in some clouds behind it. It's framed out in some Kraft and blue and then Paper Studio patterned paper, which was mounted on Kraft. The twill ribbon was added and as an afterthought, as I said, the tiny brads were added. Nothing special here but think this little pup is very glad to finally find the fire plug and is hollering "Hot Dog"! 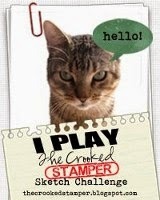 The stamps I used from Lawn Fawn are from the sets Critters in the Dog Park and A Little Birdie Told Me. Cute stamps in both sets too! The challenge at Lawnscaping this week is embossing and I dry embossed the background white with a Sizzix folder and also embossed the images in clear embossing powder after stamping in Versa Black. 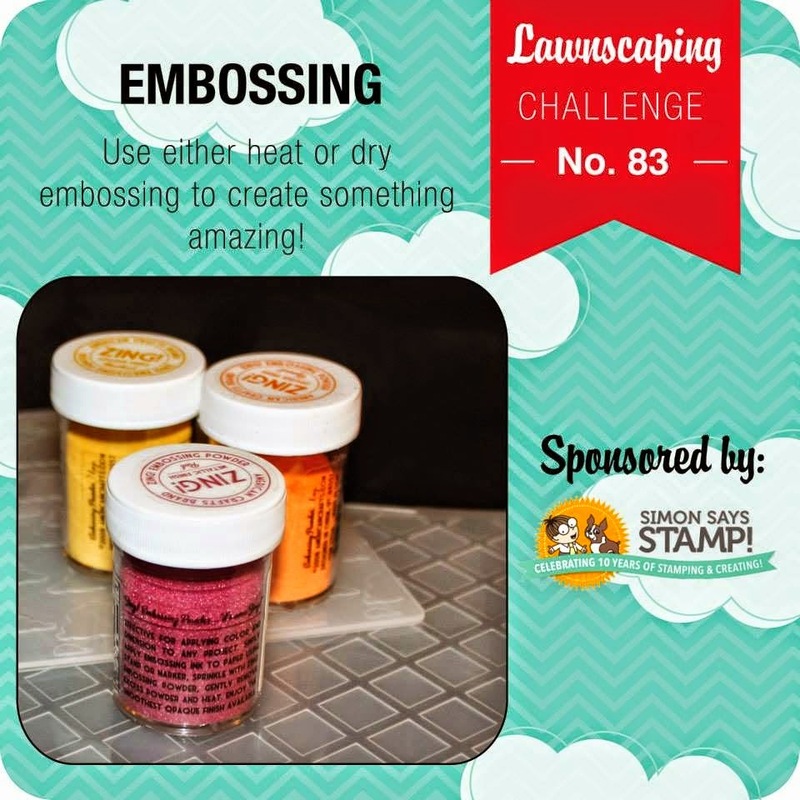 I'll enter this in the embossing challenge at the Lawnscaping Challenge, and the challenge at Pixie's Crafty Workshop with snippets. Oh how I wish I was sitting right along side this little guy - hairy legs and all!! Isn't he just about the cutest thing ever!!!!! AND, the good news is that you can get him over at Deedee's Digis right now. 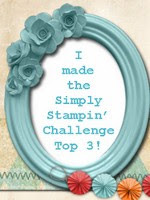 He's the stamp of the month for our progressive challenge. If you played along with this challenge last month, you've already received him but if you didn't, you can always go to Deedee's Digis shop and get him for a special price. 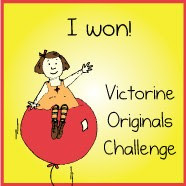 Then when you submit your card for this months challenge you'll get a free image next month! 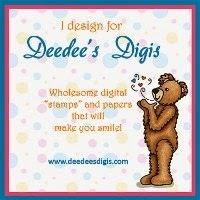 Come on over and check out all of it at Deedee's Digis! I used the pre-colored image - oh, and with this set you also get another cute image and they're pre-colored or not - so you have a choice. It also comes with some cute, cute sentiments too! Anyway.....I used some Paper Studio paper that looks like sand, sponged in the clouds, and then stamped a palm tree from Stampendous and popped it up behind the image. The speech bubble holds the cute sentiment. I can so relate to this too since I'm not one to tan at all out in the sun. I do the vicious cycle of burn and peel, burn and peel, burn and peel. 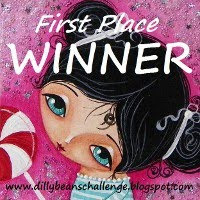 Thanks for stopping by...........and check out all the cute images at Deedee's Digis. 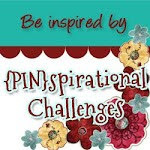 It's time for another challenge at All Dressed Up and our theme this go-round is to Use Some Bling! Those are always fun challenges and we'd love to see what you create with an All Dressed Up image. 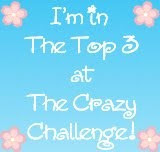 Be sure and check out the blog and see all the rules of the challenge and the wonderful inspiration from the DT! 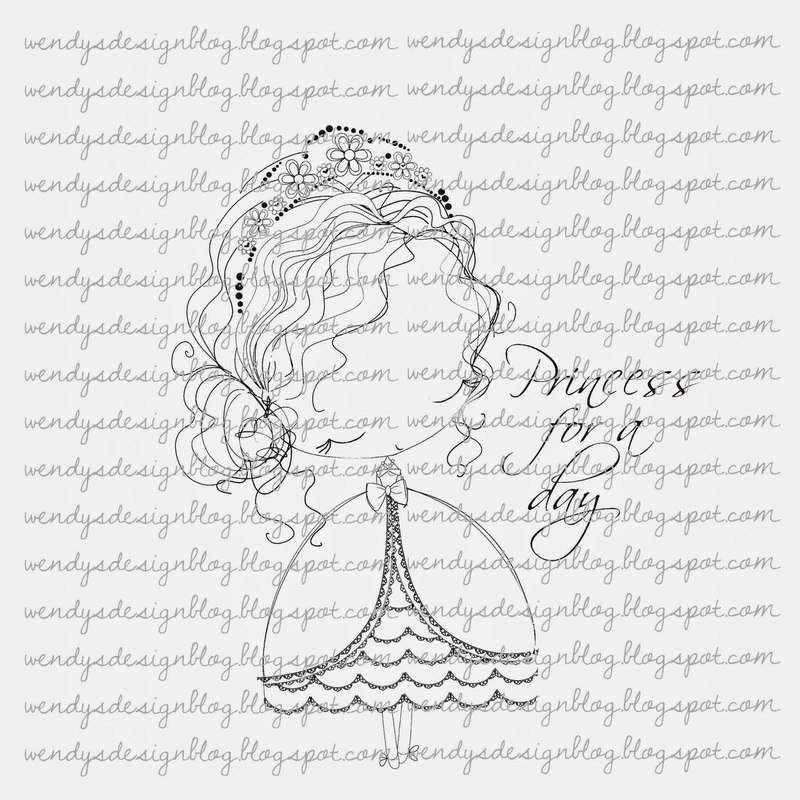 All of the All Dressed Up images can be found in the Etsy store. 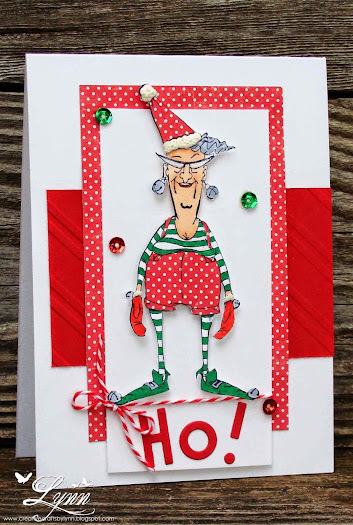 For my card today I used one of the FREE images from All Dressed Up! 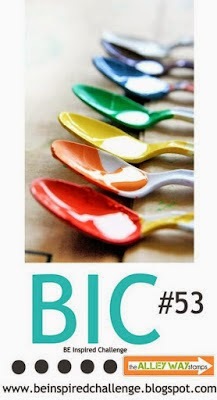 Yes, all you have to do is visit the All Dressed Up blog and download this image. 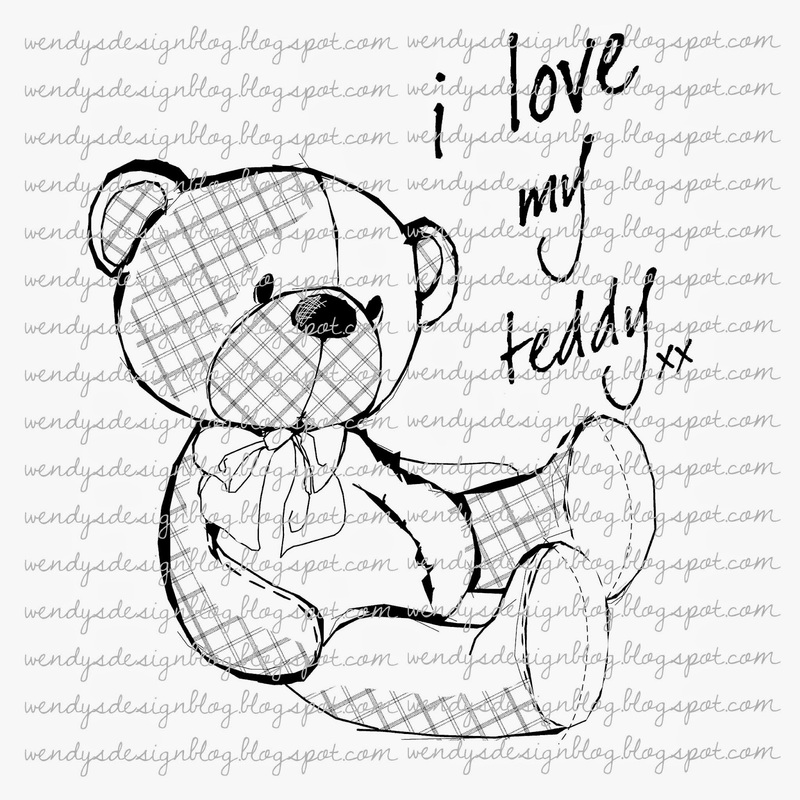 There are also some other cute, cute (and pretty) images there for free. I colored the butterflies with Copics and then went over some of the flowers with the Zink of Stella pen. For my bling I added some tiny little pearls to a few of the flowers and also some shimmery sequins. After attaching the strip of patterned paper down the side, I did a little zig zag stitching and then stamped the sentiment. 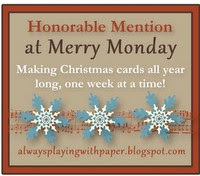 This is my last card for the Design Team for All Dressed Up. 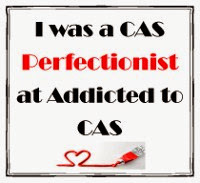 I've decided I must start managing my life a little better and that means cutting down on some of the things I love to do. I absolutely loved being on this team -they're all such a great group of ladies. Of course I could never be able to say enough about Wendy's All Dressed Up images either.........beautiful, cute, and everything in between! A big thank you goes out to Wendy for such wonderful images to work with, the DT coordinators Tracy and Marilyn, and all the ladies on the DT. Hi and thanks for stopping by again! 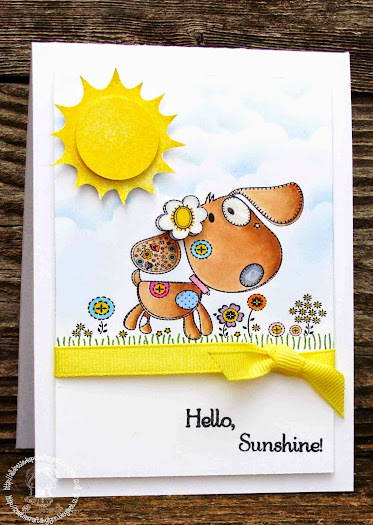 Today, I want to share my card which has been published in the latest issue of the Scrap n' Art online magazine. 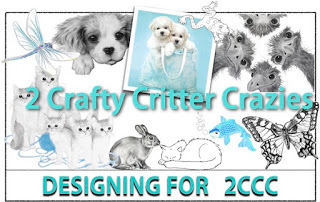 Scrap n' Art is an electronic magazine packed with articles, tutorials and inspiration all for the paper crafter and has a reader base of over 20,000. 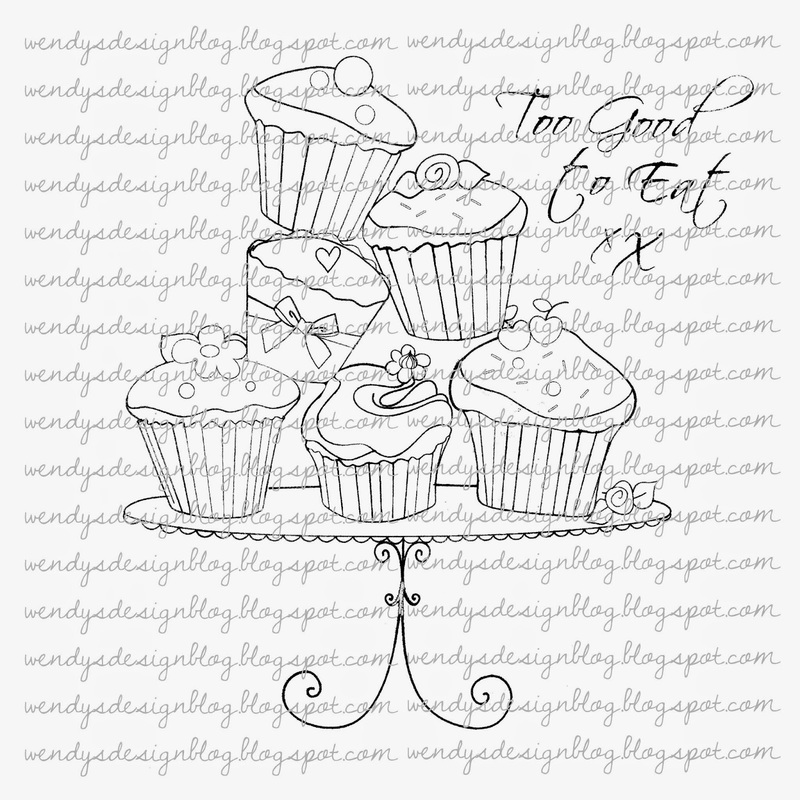 Wendy Burns and three brand new, exclusive All Dressed Up images are being featured in the current issue plus several of the design team have submitted projects. For my submission I used Little Patch Puppy that can be found in the All Dressed Up shop - along with so many more wonderful images. I colored him in Copics, sponged in some clouds, and then added the sentiment from MFP and sun. The flower on his ear was stamped twice and popped up and then Wink of Stella and Glossy Accents added to the flowers, eye, and nose. The following three digital images are currently available ONLY by subscribing to Scrap n' Art. Your subscription entitles you to a monthly magazine for $24/year or you can try it for $5 for one month and you can access tutorials, inspiration, editorials and downloads. Thanks for stopping by........and be sure and check out Scrap n' Art and the All Dressed Up shop!